During 2016 we welcomed a few new faces to our team (and that’s without mentioning the babies born to our habituated groups of western lowland gorillas). 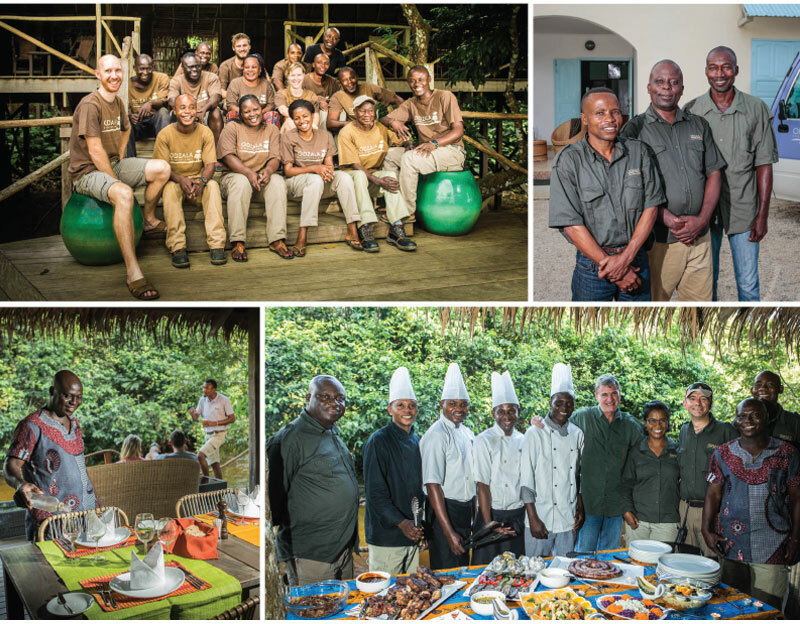 The camaraderie amongst our close-knit team has always been excellent, and this same sense of shared experience and discovery also extends to our guests. We like to think we’re creating friendships as well as awesome memories. Our guiding team was boosted by the arrival of Andreas, who realised that a rainy day in Odzala is much better than a rainy day in his native Belgium. No less a mind-blowing move was Johan and Laura’s decision to abandon the sands of the UAE in favour of the rainforests of the Congo Basin. Equally, our new Mboko and Lango management couple, Joel and Haingo, felt that Odzala was more their idea of paradise than Madagascar and they headed west across Africa for new adventures. Our marketing and reservations team also features some vibrant new personalities in Tessa, Melly and Monica who are ready to answer any questions you have about Odzala. Why not begin your Congo adventure by sending them an email today? Error: Error validating access token: Session has expired on Saturday, 09-Feb-19 03:31:06 PST. The current time is Wednesday, 24-Apr-19 22:02:40 PDT.